Accessory used as a connection point in an air system to allow cable entry into the main panel. 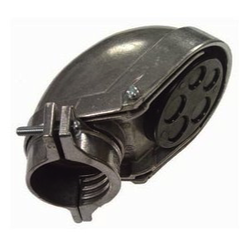 Clamp type entrance head can be installed on EMT, IMC or rigid conduit. Accessory used as a connection point in an air system to allow cable entry into the main panel. 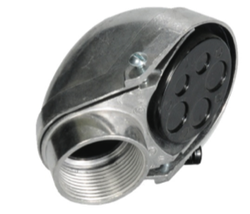 Clamp type entrance head can be installed on IMC or rigid conduit only.